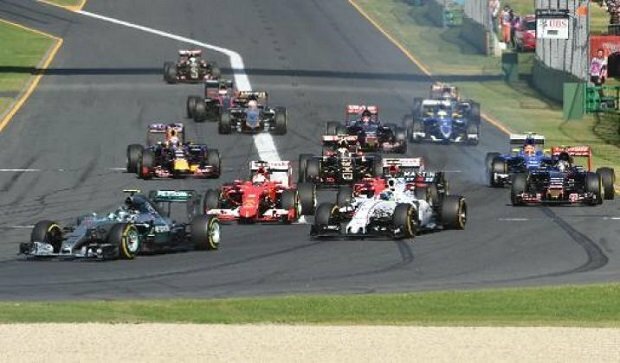 Last weekend saw the return of Formula One to our screens as the 2015 season kicked off in Melbourne, Australia with changes in liveries, personnel and line-ups to beat the band. Despite only 15 starting and just 11 finishing Sunday’s curtain-raising grand prix, we still learnt a lot regarding our favourite – and not-so-favourite! – teams and drivers this term. Last year’s constructors’ champions picked up where they left off in November; blitzing round one from start to finish. Lewis Hamilton was in dangerously dominant form; wrapping up pole and victory easily. Nico Rosberg looked a little out of sorts: unable to respond to Hamilton’s sizzling speed in qualifying and on race day, he had to settle for a consolation second. First blood to Hamilton in this year’s title fight then – but, for all our sakes – let’s hope Rosberg summons an answer sooner rather than later. Our entertainment value depends on it. After a dismal 2014, the Scuderia needed to make a serious step this season, and judging by their performance in winter testing and Australia, they have done; and more. Quadruple champion Sebastian Vettel hit the ground running with a podium on his Prancing-Horse debut; whilst Kimi Räikkönen showed plenty of pace until a loose rear tyre put paid to his afternoon. Night and day to last year. Their off-track activities threatened to overshadow the whole weekend (a bizarre court battle with former test-driver Guido van der Garde dominated headlines worldwide), but when they did make it out, they conducted themselves wonderfully. GP2 graduate Felipe Nasr scored the best result ever recorded by a Sauber rookie with a stylish fifth place, whilst Marcus Ericsson quietly came home eighth; a much-improved Ferrari power pack, a neat chassis and two zealous drivers earning them 14 points in the season opener. Commendable considering they failed to score anything in the whole of 2014. It looked really promising early on Saturday as it so often does for the Grove-based team but once again, unforeseen problems halted their progress. A back injury forced Valtteri Bottas to sit the grand prix out despite posting the sixth quickest time in qualifying, whilst Felipe Massa was caught out on strategy by Ferrari’s Vettel mid race and finished a run-of-the-mill fourth, a way off the final podium position. Still very good, but given their lofty ambitions this season, not quite what was in mind. The weekend started well for Lotus, following on from an absolutely awful 2014 but their first double-Q3 showing in over a year came to a screaming halt on lap one when Romain Grosjean retired with a loss of power, and Pastor Maldonado was pitched into a crash after being clipped. The good news is that there is pace in the car as a result of a switch to Mercedes engines and definite improvement on the aero side. The fact that for the most of the weekend Toro Rosso appeared to have the jump on their big sister Red Bull speaks volumes not only about their car, but also about the state of Red Bull Racing post-winter. The team’s two new drivers (combined age 37) were a revelation: Carlos Sainz earning a hard-fought ninth place whilst Max Verstappen suffered a mechanical failure when he was also on for a points finish. Really exciting times for Red Bull’s Italian counterpart. An encouraging beginning to the new term for the midfield squad; considering they were late starters in testing. Punched above their weight on Sunday once again, gaining seven valuable points over Lotus and McLaren as the latter two toiled with early teething issues. A terrible start to their renewed partnership with Japanese marque Honda, but truthfully no worse nor better than many feared or predicted. A pre-race retirement for stand-in Kevin Magnussen, and a hiding-to-nothing drive for Jenson Button (the 2009 champion was the only driver to finish the race outside the points), was disheartening. Signs of encouragement in terms of mileage; the next few grand prix will be telling. If it wasn’t for Daniel Ricciardo’s spirited effort to sixth with limited-to-little driveability, the 2010-2013 teams’ winners might well have stayed home and saved themselves the trouble. The car once again looks splendid aerodynamically, and if Renault can get it together and find some extra horse power, they will be right there with Ferrari and Williams. A ‘watch this space’, as opposed to the ‘fall from grace’, that many are conjecturing. Forced to sit out the weekend and watch from the garage thanks to a problem with the software on their late-to-the-party car, it’s impossible to evaluate just where the newly named Manor team are in the pecking order; but one would suspect paddy last. Here’s hoping they can get some laps in at the Malaysian Grand Prix, a fortnight from now.